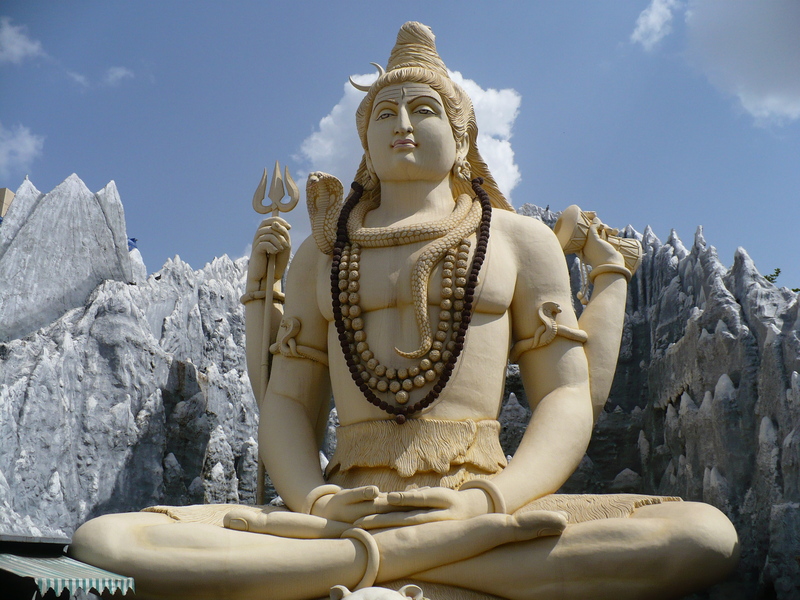 Today marks the annual festival of Shiva Ratri , in honor of the God Shiva. Although as Vaisnavas or as Krishna bhaktas, we do not participate in the many Hindu festivals, still we honor Lord Shiva as being the greatest yogi (SB. 2.8.20) and as the greatest devotee (SB. 4.24.18). Both Text and purports by Srila Prabhupada follow. yoga-īśvara—of the master of the mystic powers; aiśvarya—opulence; gatiḥ—advancement; liṅga—astral body; bhaṅgaḥ—detachment; tu—but; yoginām—of the mystics; veda—transcendental knowledge; upaveda—knowledge in pursuance of the Veda indirectly; dharmāṇām—of the religiosities; itihāsa—history; purāṇayoḥ—of the Purāṇas. What are the opulences of the great mystics, and what is their ultimate realization? How does the perfect mystic become detached from the subtle astral body? What is the basic knowledge of the Vedic literatures, including the branches of history and the supplementary Purāṇas? The yogeśvara, or the master of mystic powers, can exhibit eight kinds of wonders of perfection by becoming smaller than the atom or lighter than a feather, getting anything and everything he desires, going anywhere and everywhere he likes, creating even a planet in the sky, etc. There are many yogeśvaras having different proficiencies in these wonderful powers, and the topmost of all of them is Lord Śiva. Lord Śiva is the greatest yogī, and he can perform such wonderful things, far beyond the ordinary living beings. The devotees of the Lord, the Supreme Personality of Godhead, do not directly practice the process of mystic powers, but, by the grace of the Lord, His devotee can defeat even a great yogeśvara like Durvāsā Muni, who picked a quarrel with Mahārāja Ambarīṣa and wanted to show the wonderful achievements of his mystic powers. Mahārāja Ambarīṣa was a pure devotee of the Lord, and thus without any effort on his part the Lord saved him from the wrath of Yogeśvara Durvāsā Muni, and the latter was obliged to beg pardon from the King. Similarly, at the time of Draupadī’s precarious position, when she was attacked by the Kurus who wanted to see her naked in the open assembly of the royal order, the Lord saved her from being stripped by supplying an unlimited length of sari to cover her. And Draupadī knew nothing of mystic powers. Therefore the devotees are also yogeśvaras by the unlimited power of the Lord, just as a child is powerful by the strength of the parents. They do not try to protect themselves by any artificial means, but are saved by the mercy of the parents. Mahārāja Parīkṣit inquired from the learned brāhmaṇa Śukadeva Gosvāmī about the ultimate destination of such great mystics or how they attain such extraordinary powers by their own efforts or by the grace of the Lord. He inquired also about their detachment from the subtle and gross material bodies. He inquired also about the purports of the Vedic knowledge. As stated in the Bhagavad-gītā (15.15), the whole purport of all the Vedas is to know the Supreme Personality of Godhead and thus become a transcendental loving servant of the Lord. ātma-ārāmaḥ—self-satisfied; api—although he is; yaḥ—one who is; tu—but; asya—this; loka—material world; kalpasya—when manifested; rādhase—for the matter of helping its existence; śaktyā—potencies; yuktaḥ—being engaged; vicarati—he acts; ghorayā—very dangerous; bhagavān—His Lordship; bhavaḥ—Śiva. Lord Śiva, the most powerful demigod, second only to Lord Viṣṇu, is self-sufficient. Although he has nothing to aspire for in the material world, for the benefit of those in the material world he is always busily engaged everywhere and is accompanied by his dangerous energies like goddess Kālī and goddess Durgā. These are twelve great authorities in preaching God consciousness. The name Śambhu means Lord Śiva. 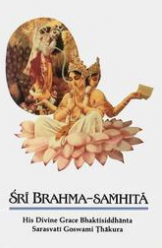 His disciplic succession is also known as the Viṣṇusvāmi-sampradāya, and the current Viṣṇusvāmi-sampradāya is also known as the Vallabha-sampradāya. The current Brahma-sampradāya is known as the Madhva-Gauḍīya-sampradāya. Even though Lord Śiva appeared to preach Māyāvāda philosophy, at the end of his pastime in the form of Śaṅkarācārya, he preached the Vaiṣṇava philosophy: bhaja govindaṁ bhaja govindaṁ bhaja govindaṁ mūḍha-mate. He stressed worshiping Lord Kṛṣṇa, or Govinda, three times in this verse and especially warned his followers that they could not possibly achieve deliverance, or mukti, simply by word jugglery and grammatical puzzles. If one is actually serious to attain mukti, he must worship Lord Kṛṣṇa. That is Śrīpāda Śaṅkarācārya’s last instruction. Herein it is mentioned that Lord Śiva is always accompanied by his material energy (śaktyā ghorayā). Material energy—goddess Durgā, or goddess Kālī—is always under his control. Goddess Kālī and Durgā serve him by killing all the asuras, or demons. Sometimes Kālī becomes so infuriated that she indiscriminately kills all kinds of asuras. There is a popular picture of goddess Kālī in which she wears a garland composed of the heads of the asuras and holds in her left hand a captured head and in her right hand a great khaḍga, or chopper, for killing asuras. Great wars are symbolic representations of Kālī’s devastation of the asuras and are actually conducted by the goddess Kālī. Thus Lord Viṣṇu gives intelligence to His devotee so that the devotee can make progress on the path back home, back to Godhead. Since a devotee has nothing to do with any kind of material possession, he does not come under the control of goddess Kālī, or the goddess Durgā. Lord Śiva is also in charge of the tamo-guṇa, or the mode of ignorance in this material world. His potency, the goddess Durgā, is described as keeping all living entities in the darkness of ignorance (yā devī sarva-bhūteṣu nidra-rūpaṁ saṁsthitā). Both Lord Brahmā and Lord Śiva are incarnations of Lord Viṣṇu, but Lord Brahmā is in charge of the creation whereas Lord Śiva is in charge of the destruction, which he carries out with the help of his material energy, goddess Kālī, or goddess Durgā. Thus in this verse Lord Śiva is described as being accompanied by dangerous potencies (śaktyā ghorayā), and that is the actual position of Lord Śiva.